Cherry cola is a classic soda favorite that families have been enjoying for years. The crisp soda taste with a cherry twist is a delicious treat that can now be enjoyed in the comfort of your own home in a Hawaiian Shaved Ice snow cone! One bite of this will have you either reliving great memories of this soda as a child, or creating new memories with your own children. 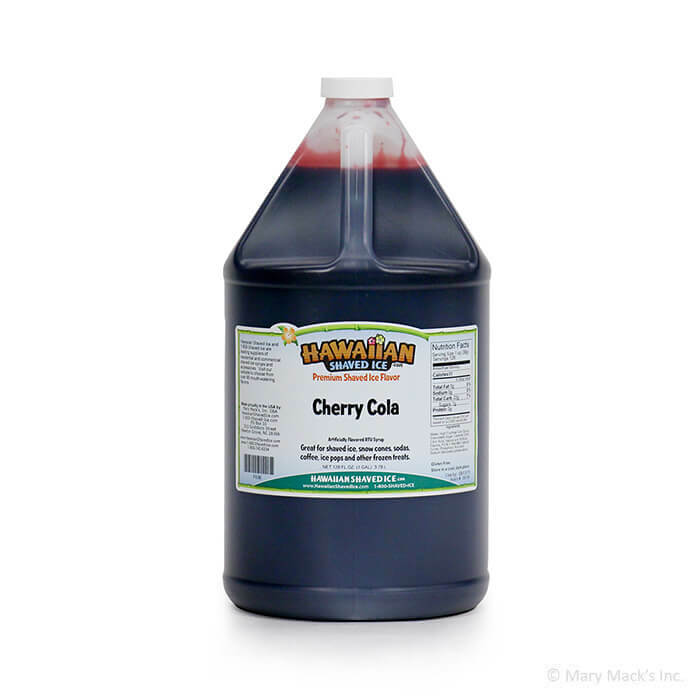 Make the delicious taste of cherry cola even better when you try our sno cone flavored syrup. 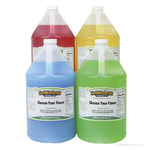 To enjoy this classic taste, grab one of our gallon sizes. Everyone will rave over the authentic cherry cola flavor. 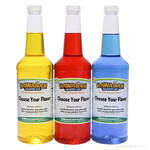 Have this shaved ice syrup your next party for ultimate satisfaction. For a cozy night with the family, you can purchase this flavor in the quart size. 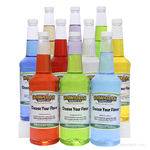 We also have it available in assorted packages, to combine with other great, classic flavors!